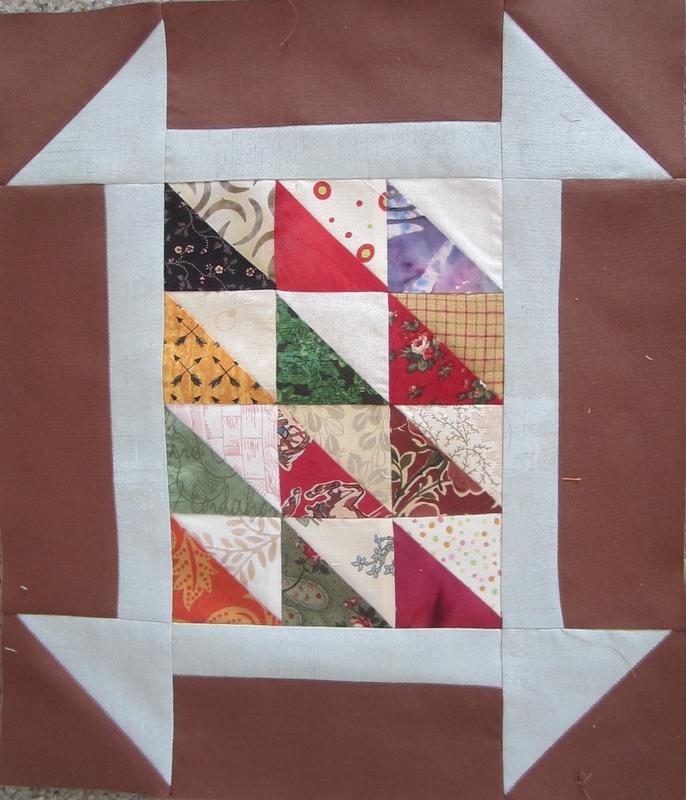 This entry was posted in Uncategorized and tagged block exchange, brown, churn dash block variation, designing quilt block, half square triangles, monkey wrench block variation, Quilt, quilting, quilting bee, scrappy quilt blocks by pamelajeannestudio. Bookmark the permalink. Thanks, Georgia. I do hope it does get done. I did get your box safe and sound, by the way. 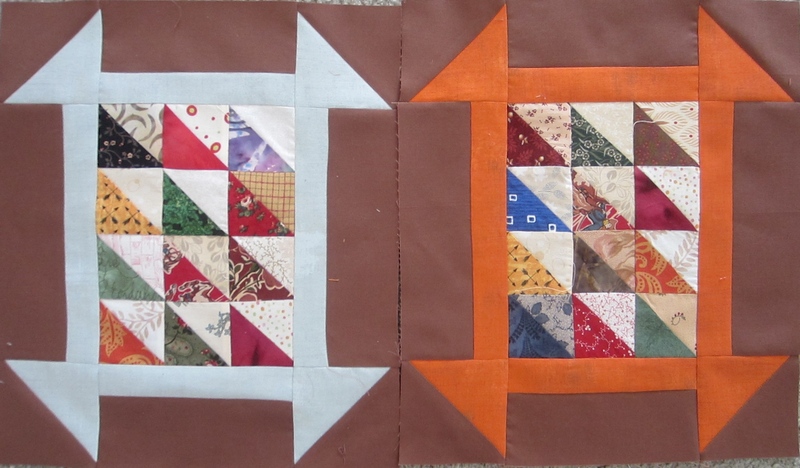 Like the blocks – fun idea! Thanks. We’ll see how this turns out!